William J. “Bill” Sandbrook is vice chairman, president and CEO of U.S. Concrete, a publicly traded company with several aggregate operations. 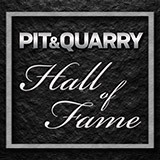 Watch his acceptance speech at the 2018 Pit & Quarry Hall of Fame induction ceremony, which took place March 6 in Houston. 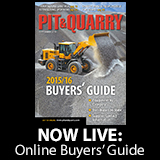 Learn more about Sandbrook and his career in the aggregate industry here.